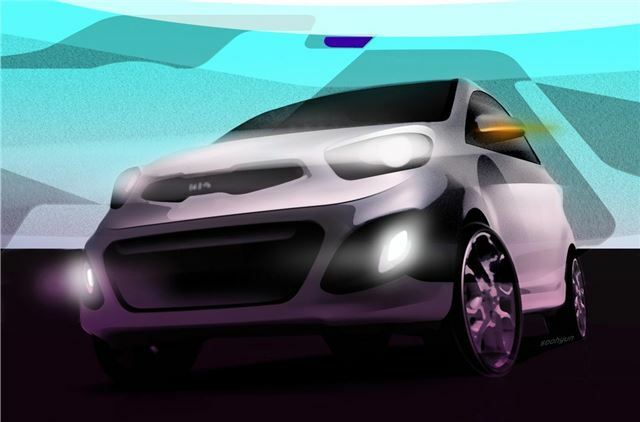 Kia has revealed the first design sketches of the next generation Picanto city car which will go on sale in the UK from Spring 2011 after making its official debut as a production car at the 2011 Geneva Motor Show. Although the pictures aren't great they do show that the new Picanto will be more stylish with a look similar to the Kia Venga. It should also be more spacious inside with a high quality interior. The new model has been styled by Kia's European design team based in Frankfurt, Germany, under the direction of Chief Design Officer, Peter Schreyer. Kia says the new Picanto will 'exude self confidence, solidity and maturity' and it's likely to use Kia's latest engines which are shared with the Hyundai i10 with the emphasis on economy and low CO2 emissions. This includes an all-new three-cylinder turbodiesel. More details will be released early next year.